Got average or better credit? The ABOC Platinum Rewards credit card may be a great fit for you. When you stack up the rewards on offer throughout the year against the annual fee – zero- this card is hard to beat for cardholders with decent credit scores. 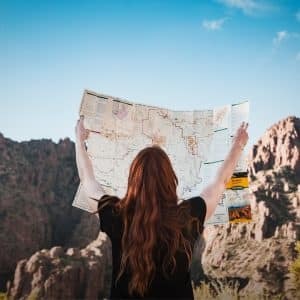 If you typically stay in the United States and routinely monitor your categories of spending, the ABOC Platinum Rewards card ranks highly and is worth your serious consideration. How Does The ABOC Rewards Program Work? How Much Are ABOC Point Worth? What If Your Credit Score Is Poor? Is ABOC Platinum Rewards Right for You? The ABOC Platinum Rewards card offers 0% APR on all of your purchases and balance transfers for the first 12 months that you have the card. After your 1 year anniversary, the APR adjusts to between 15.15% → 25.15%. The exact percentage of your APR will vary based on your credit score at the time. You can earn 5x reward points on your first $1,500 in combined purchases each month based on the categories of your spending. The spending is tallied on a quarterly basis. There is no upper limit on earned points, which accumulate at the rate of 1 point for each dollar spent. You select your rewards based on what suits your needs, and you can save your points for as long as you want. Points do not expire. The ABOC Platinum Rewards card has no annual fee. After you spend $1,200 within the first 90 days of having your ABOC Platinum Rewards card, you earn a $150 statement credit. This statement credit reduces the amount owed on your next bill. ✅ So-so Credit Welcome: Even if your credit is not stellar, you may still qualify for the ABOC card. ✅ Points Do Not Expire: Unlike some hotel and airline programs that void points after certain time periods, your points have no expiration date. ✅ Generous Rewards: 5x Rewards on rotating categories, including travel, groceries, restaurants and gas. The ABOC Platinum Rewards card is right for you when you want to strengthen your credit score while earning rewards for spending money. It has more rewards for people with average credit than most equivalent cards offer. 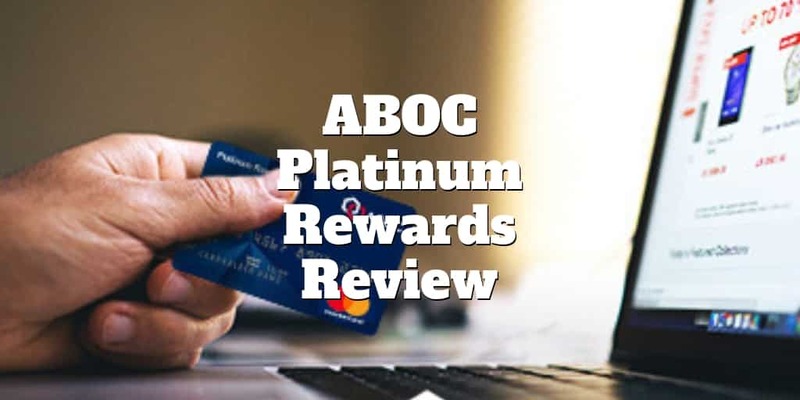 For 2019, ABOC Platinum Rewards released a new type of rewards program. The categories of spending that you earn rewards on change every quarter. For example, in one quarter, you might earn rewards on restaurant purchases. 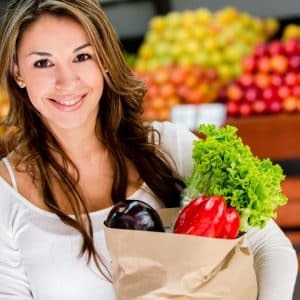 The next quarter, the rewards category might be groceries or automotive purchases. If you do not mind keeping up with those changes and adjusting your spending to suit the rewards options, it could be an easy way to reap a lot of rewards. In addition, the ABOC Platinum Rewards card has several perks for you. The first perk is that you may be eligible for this card with average credit. In contrast to many other credit cards that require you to maintain a good to excellent credit score in order to reap the full rewards, you can earn and redeem the full amount of the rewards even with an average credit score. There is no annual fee for the ABOC Platinum Rewards card. Plus, you can earn a sign-up bonus of $150 if you spend at least $1,200 within 90 days of opening an ABOC Platinum Rewards credit card. Each quarter, the preferred rewards change. You earn 5 points per each $1 that you spend on purchases in the preferred categories, totaling up to $1,500 for the quarter. In addition, you earn one point per $1 in spending for the non-preferred rewards categories purchases that you make each quarter. There is no limit on point earnings for non-preferred categories, and you can redeem your points any time. The redemption options include gift cards, statement credits, travel perks, and merchandise. During the first quarter of 2019 (January 1 through March 31), the preferred rewards categories are grocery, pharmacy, and restaurant purchases. During the second quarter (April 1 to June 30), the preferred rewards categories are home improvement, home supplies, and warehouse and wholesale club purchases. In the third quarter (July 1 to September 30), the categories are airline tickets, cruise fees, car rentals, hotel stays, and travel agency purchases. During the fourth quarter (October 1 to December 31), the rewards categories are automotive parts and service and repair purchases. 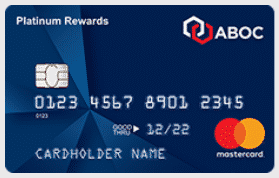 During the first six months of 2019, you must register your card at ABOCRewards.com in order to get your bonus points. Beginning July 1, you must activate the bonus by logging into your ABOCRewards.com account. ABOC Platinum Rewards offers several highlights to cardholders. When your credit rating is fair, it can be a challenge to find a card that rewards you for everyday purchases. ABOC Platinum Rewards is accessible to all cardholders. ABOC Platinum Rewards does not penalize you for having fair or average credit. Cardholders with fair credit ratings rarely qualify for a credit card that offers a sign-up bonus. The generous $150 statement credit that you earn for spending $1,200 over the course of the first 90 days is more than most other credit cards offer customers with fair credit. The 0% introductory APR lasts a full 12 months. It applies to your purchases and balances that you transfer from other cards. You could save a good deal of money by transferring your balance from a card that has a high APR and paying it off within the 12 months. Doing this could also help you improve your credit score. When you are trying to raise your credit score, the last thing you need is unnecessary expenses and the good news is the ABOC Platinum Rewards card does not cost you a dime. Closing accounts that you do not use could lower your credit score but keeping the ABOC Platinum Rewards account open will not cost you anything. You have to stay on top of the rotating rewards categories in order to maximize your point earnings. In order to get those points added to your account, you also have to register your card on the company’s site and activate the bonus. If you are not good about checking in with the rewards, you might miss out on points. Another concern is that your expenditures might not line up with the timing of the rewards. 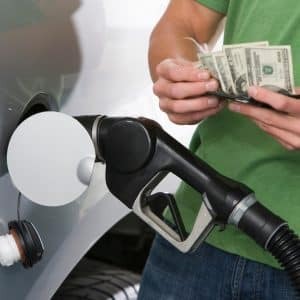 For example, if your car breaks down, it might not happen during the time that the ABOC Platinum Rewards card offers the most points for automotive expenses. If you travel internationally, get ready to pay a fee of 3% for each transaction. This could get expensive if you travel a lot. You may want a second credit card, such as the Chase Reserve, to use for your international travels if you go abroad on a regular basis. After your 12-month grace period ends, you pay either 3% or $5, whichever is greater, on any balance transfer to your ABOC Platinum Rewards card. This fee structure is in line with similar credit cards in the industry. Some cards aimed at people with fair credit charge a higher fee. This should not be a major downside for the ABOC Platinum Rewards card, but it is something to consider for the future. If your credit is poor, you might not qualify for the ABOC Platinum Rewards card. The company requires a credit score of at least 630 to be considered for approval. If your your credit score is low, consider taking some actions to improve it, such as getting credit for paying rent. Within a few months, you could increase your score to at least an average credit rating. If you do have bad credit, you may want to try a secured credit card first. This type of card requires you to make a cash security deposit. Your line of credit is equal to the amount of your security deposit. After making some payments on time and taking other actions to improve your credit, you could reapply for the ABOC Platinum Rewards card. If your credit score is average or better, the ABOC Platinum Rewards card may be a good one for you. Its flexibility and generous rewards may be more useful to you than other credit card products. 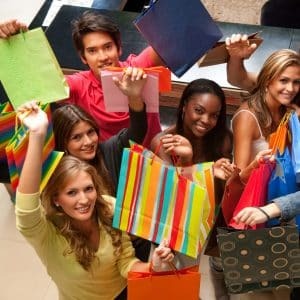 However, if the bonus and rewards categories do not correspond well with your shopping habits, you might wish to look elsewhere such as the Capital One Savor card. The ABOC Platinum Rewards card offers more flexibility than many of the other cards that you can get with an average credit score. The low introductory APR and the comparable fees for balance transfers may help you to save money. However, this card’s rewards can be a bit clunky. If you don’t have the time to analyze them, you might be better off with another card. You will need to do some comparisons and take a close look at your spending habits in order to decide if the ABOC Platinum Rewards card is the best option for your situation.